Hola from Mallorca! In today’s episode, Bitte and Hanna appreciate a little help from their keto friends who have recently visited them, or will visit them soon, to create a fantastically ketolicious holiday gift guide! Maria Emmerich’s 7 keto books, including her newest Keto Instant Pot, can be found here! Julia Tulipan, et al: Der Keto-Kompass: Das aktuelle Wissen über Ketone, Ketose und ketogene Ernährung. Wirkweisen, Anwendungen und Chancen in jedem Alter. Mit 30 Rezepten. Romina Scalco: Schlank gleich glücklich? : Was Abnehmen mit Glücklichsein zu tun hat und warum wir viel öfter Arschbomben machen sollten. Patricia Daly: The Ketogenic Kitchen: Low Carb. High Fat. Extraordinary Health. And our final gift idea is, of course, a ticket to KetoLadies 2019! Join us for an unforgettable long weekend filled with health, yummy food, happy memories, new information, new friends and so much more. Surprise a loved one! Hopefully your/Santa’s list of gifts just got a bit easier! 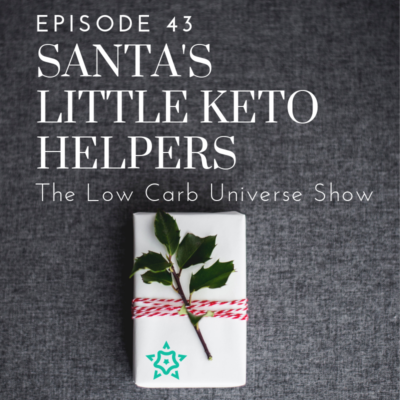 Do you have more suggestions of amazing low carb gifts to give? Leave us a comment! *Please note* that we are in no way sponsored or otherwise affiliated with any of these products, they’re just fantastic creations by amazing people!